The Federation of Unions of South Africa (Fedusa), along with Cosatu and Nactu, are the country’s largest federations and together represent labour in Nedlac, which – as the consensus-seeking body comprising government, business, labour and civil society – is an important lever to directly influence policy and legislation. The New Federation has 21 signed-up unions, representing a total of 684 865 workers. This is already double that of either Fedusa or Nactu, according to department of labour records – although Nactu maintains that it has a similar membership to the one the New Federation claims to have. 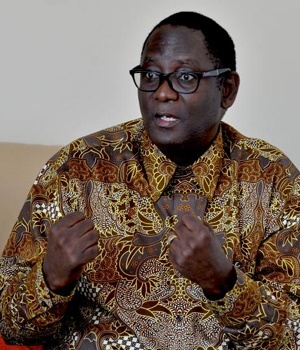 Although Cosatu is still far larger, it now has civil servants as the majority of its members, said Zwelinzima Vavi, the expelled former secretary-general of Cosatu, and now the convenor of the New Federation’s steering committee. Also, it seems as if four more Cosatu unions may formally break away from the mother body and join the new federation. These are the Public and Allied Workers’ Union of SA, the SA Football Players’ Union, the SA Medical Association and the SA State and Allied Workers’ Union, together representing about 26 000 workers. All four relatively small unions were among the so-called “nine plus” Cosatu unions, which aligned with Vavi against Cosatu’s leadership when its factional battles reached their high point in 2015 – culminating in his expulsion and the breakaway of metalworkers’ union Numsa, the country’s largest union. Cosatu spokesperson Sizwe Pamla told City Press that the four unions mentioned above told Cosatu they were not leaving. “In our engagement with those unions, they have denied that they are planning to leave, and we are taking them at their word,” Pamla said via email. However, they feature on a list of 18 unions which have participated in meetings leading to the launch of the New Federation next month. They may join after “seeking a mandate from their members”, according to Vavi. The list also includes four Nactu unions, of which the most signifcant one, the Professional Educators’ Union, told City Press it would put the issue to a meeting of its provincial leaders next weekend. “We have not taken any decision ... We are a Nactu union,” said general-secretary Ben Machipi. The Inqubela Phambili Union and SA Private Security Workers’ Union, also Nactu members on the list, said they had no plans to jump ship. Vavi maintained that the federation intended to swell its ranks by unionising the majority of workers who do not belong to unions at all, especially at the low-paid and precarious end of the labour market. “We are making history. No one has succeeded in uniting this many unions. When it was founded, Cosatu was half this size,” said Vavi. For the time being, Numsa and the Food and Allied Workers’ Union (Fawu) will dominate the New Federation as the two ex-Cosatu unions’ combined memberships make up 68% of the federation’s total membership from all 21 unions. There are other significant unions involved, but also a number of tiny, newly registered ones. Two of the larger unions joining the New Federation are the National Transport Movement and the SA Policing Union. A notable absence from the federation’s membership list is the Association of Mineworkers and Construction Union (Amcu), which is roughly the same size as Fawu. And the absence of Solidarity, a very active independent union with a largely white membership, is sad, said Vavi. The founding congress of the New Federation was planned for this month, but has been rescheduled to begin on April 21. It will involve about 1 800 delegates, half of whom will be from Numsa and Fawu. The New Federation is targeting the recent agreement reached on a R20 per hour national minimum wage (NMW) and a new labour accord signed by parties to Nedlac. Both issues are among a list of complaints in a section 77 notice which the New Federation has submitted to Nedlac – possibly a precursor to a national one-day protest strike. This may present the first test of the fledgling organisation’s ability to call people into the streets. The Nedlac deals have not yet been ratified, but the New Federation wants a significantly higher NMW and is appalled by the accord, which introduces secret ballotting before strikes and interest arbitration when strikes seem to have reached a deadlock. Unfortunately for the New Federation’s generally anti-Cosatu spin in these deals, Fedusa and Nactu also signed and endorsed these agreements. “We are just being respectful of Fedusa and Nactu,” Vavi admitted. “We are shocked that Nactu signed. Like us, they are militant ... I doubt Amcu would ever agree,” he added. Amcu is currently the largest member by far of Nactu.